Zigzag Round Diamond Pendant (18 in) | Shane Co. Eight round diamonds, at approximately .35 carat total weight, serve to highlight the center stone in the shape, color, and size of your choice. 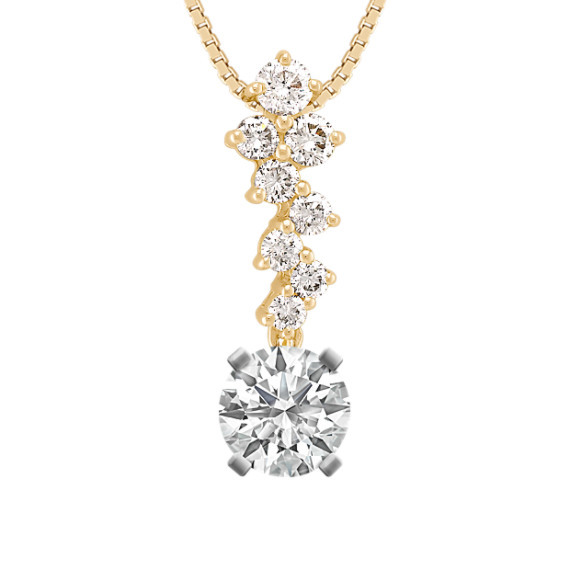 This elegant pendant setting is crafted from quality 14 karat yellow gold and hangs from a matching 18-inch box chain.